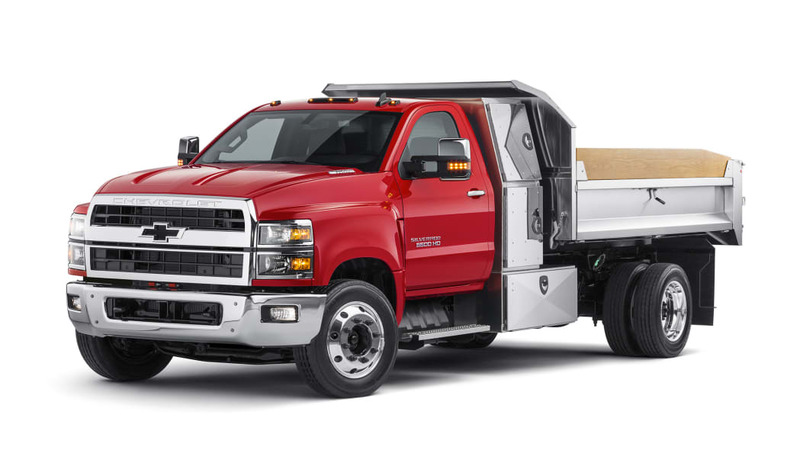 Chevrolet has just revealed its newest addition to the Silverado line, the medium-duty 4500HD, 5500HD and 6500HD trucks. This is significant for a few reasons. 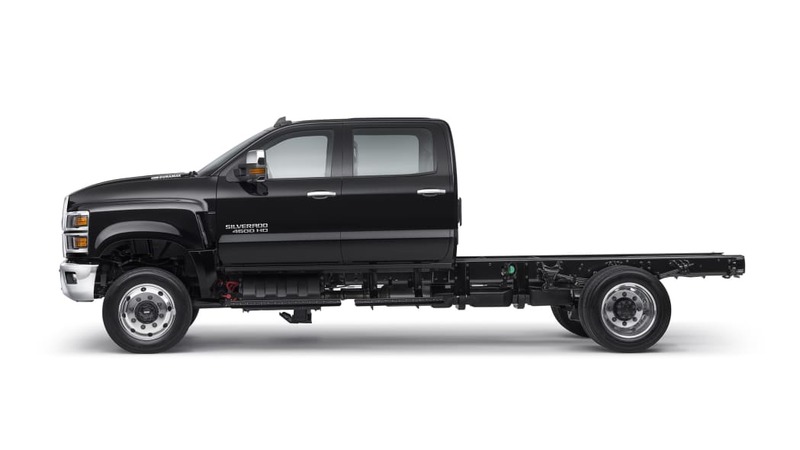 For one, this is the first time GM has been in the medium-duty segment of trucks since killing off the Chevy Kodiak and GMC TopKick almost a decade ago. 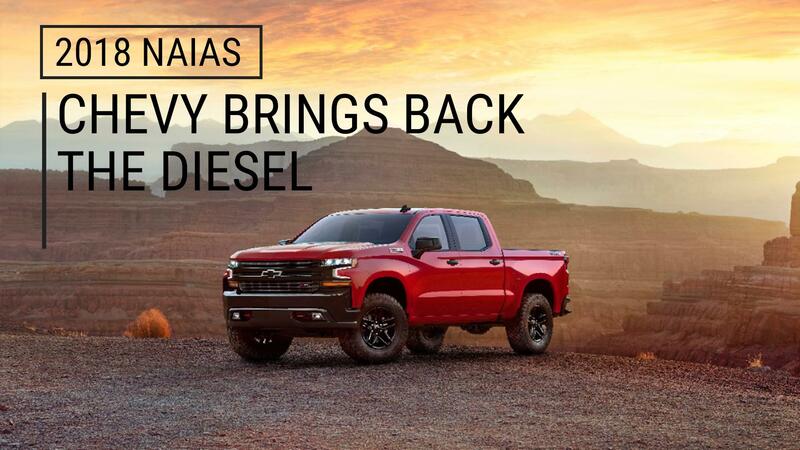 Plus, this will now give Chevy a truck for every segment: small trucks with the Colorado, standard full-size pickups with the Silverado 1500, heavier duty full-size pickups with the 2500HD and 3500HD, and of course these new medium-duty trucks. 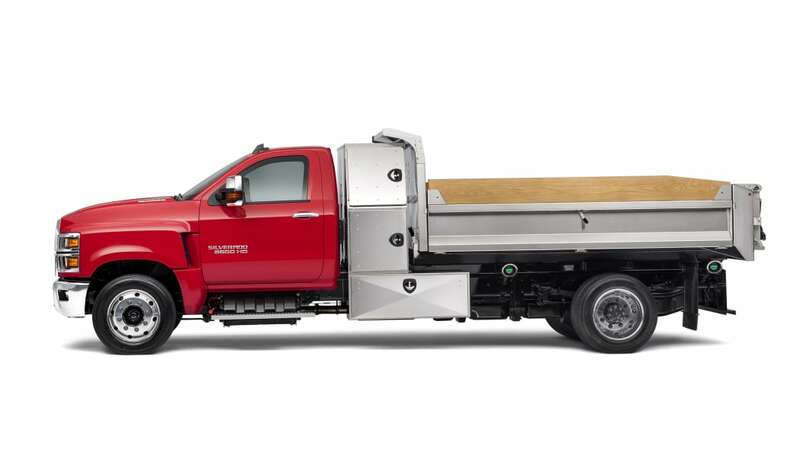 Among consumer-focused truck brands, only Ford will be able match Chevy for truck range now that it will offer the new Ford Ranger in America. 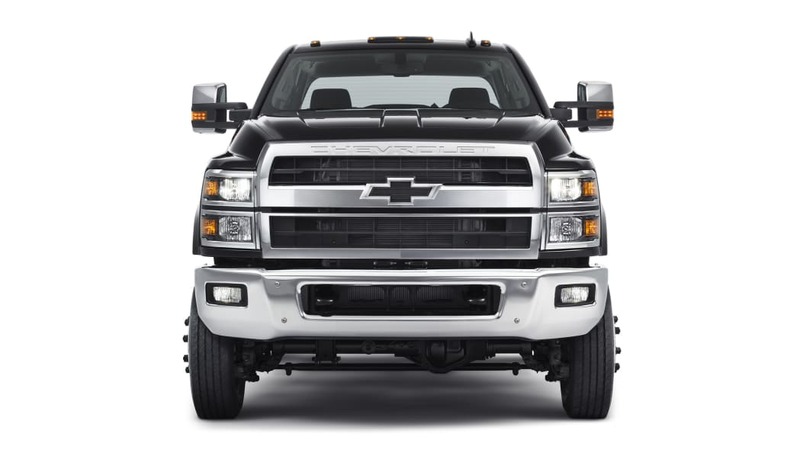 As for the new Silverado itself, it looks like someone force-fed the outgoing Silverado steroids until it ballooned in shape and size. 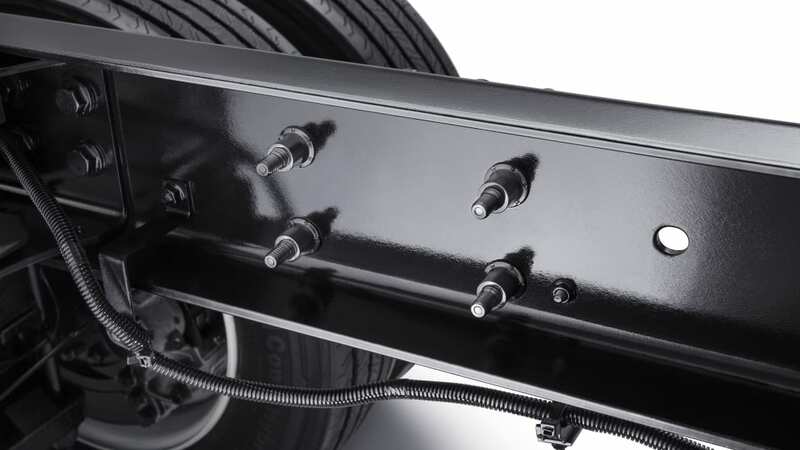 The grille is semi-truck tall, and the fenders are broad. But the result is actually rather handsome and cleanly styled. It's all pretty par for the course as far as styling in this class. 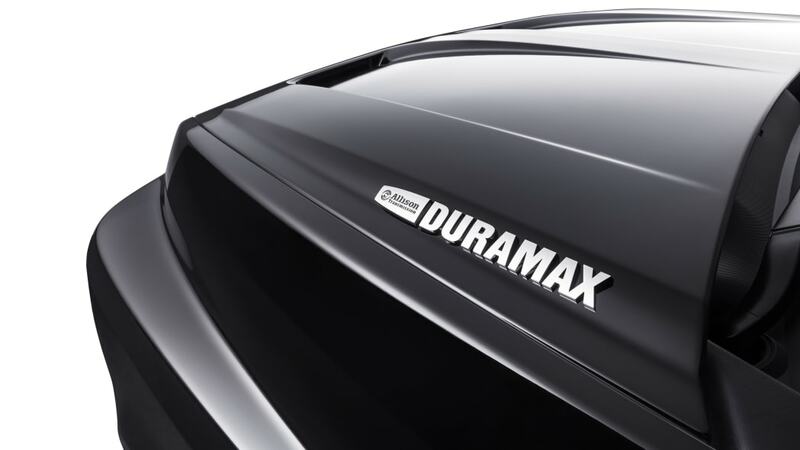 Under the truck's huge tilting hood is a 6.6-liter Duramax turbocharged diesel V8. It makes 350 horsepower and 700 pound-feet of torque. 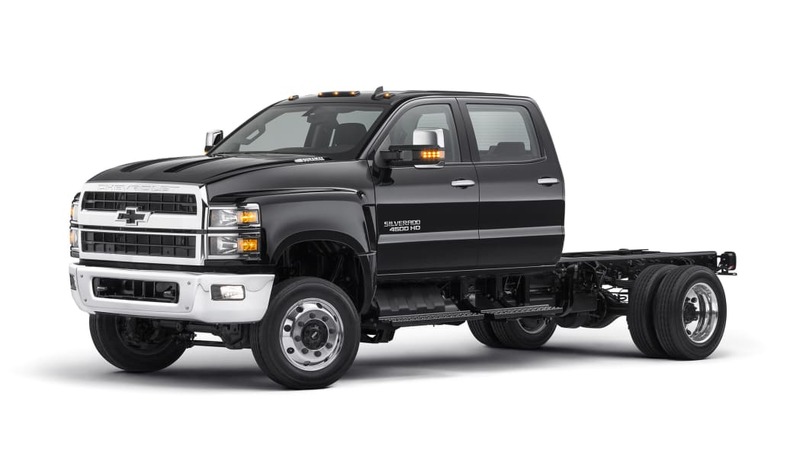 Interestingly, this is less power and torque than the 6.6-liter Duramax produces in the 2500 and 3500 models. 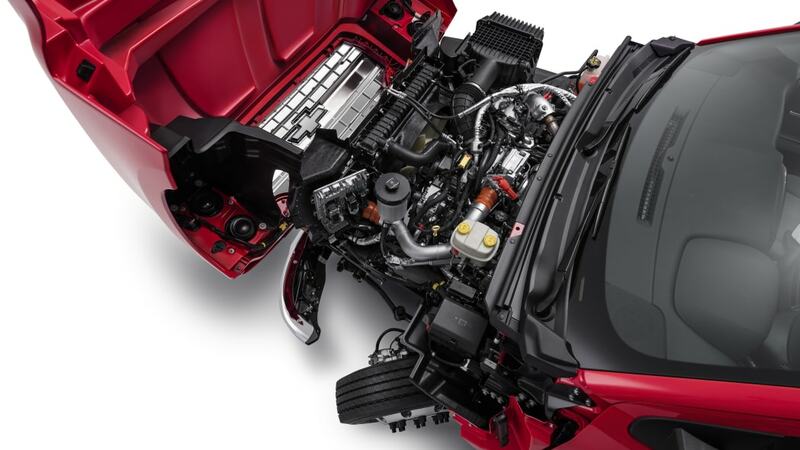 That engine makes 445 horsepower and 910 pound-feet of torque. But hey, the 4500HD-and-up models aren't built for drag racing. 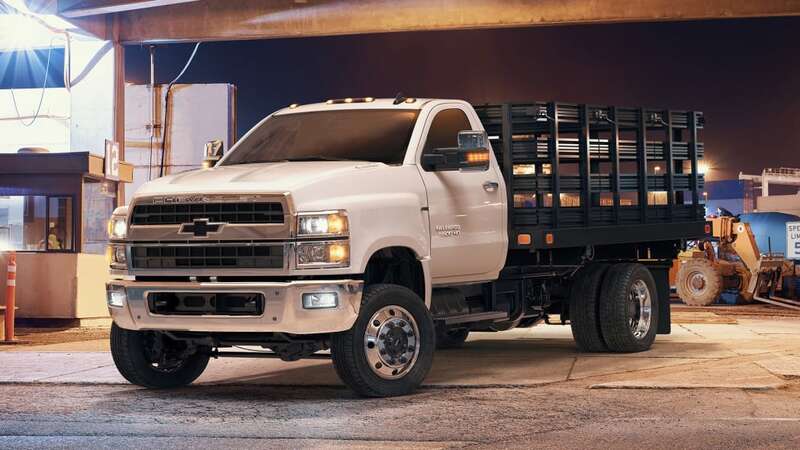 The supersized Silverados all use an Allison automatic transmission with available power takeoff. 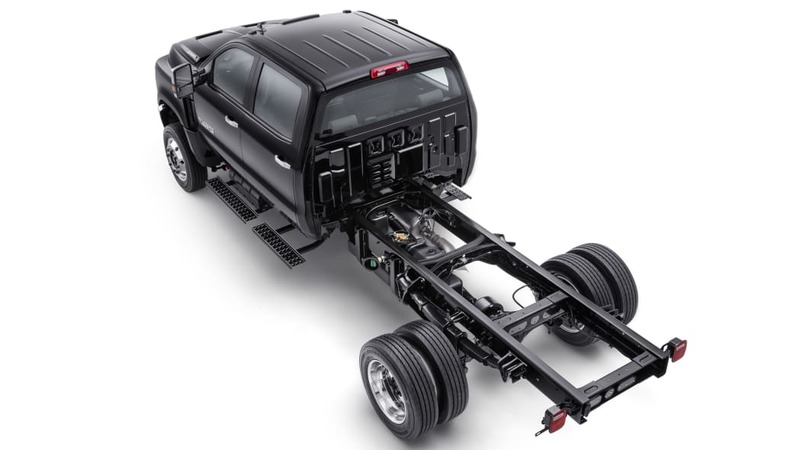 Chevrolet also highlighted a few things it has done to make the truck easier to up-fit and easier to live with. Apparently the tops of the frame rails are smoothed out and flat, making it easier to fit beds and cargo boxes. 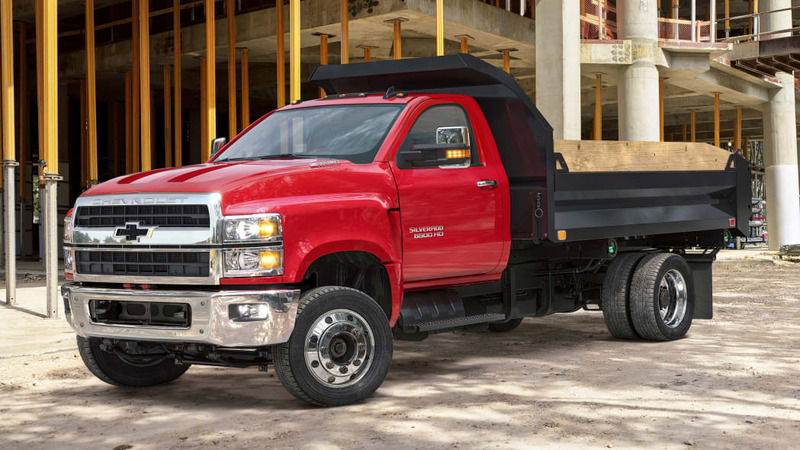 The truck's front wheels can be turned to an angle of 50 degrees, which Chevy says allows not just better maneuverability, but also makes it easier to get up close to the engine for servicing. 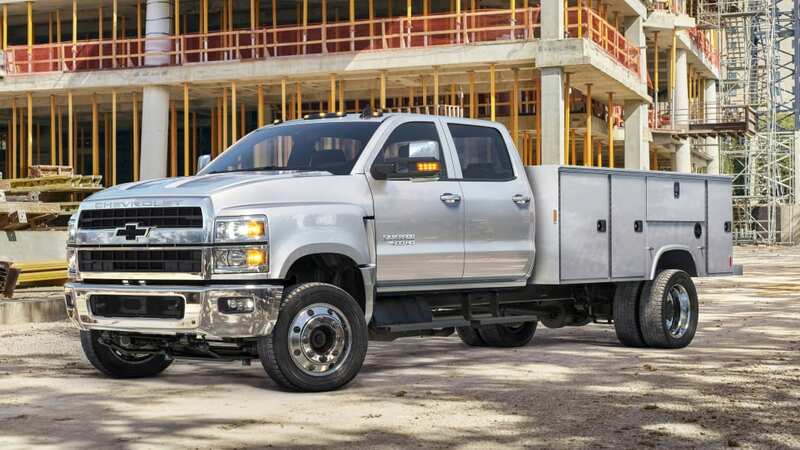 The company worked on making the truck quieter and more comfortable, even offering factory-installed air suspension, something Chevy says isn't offered by Ford or Ram. The new Silverados can also be fitted with 4GLTE Wi-Fi, Bluetooth, Apple CarPlay and Android Auto, and wireless phone charging. Chevrolet will have order guides available in the spring, and pricing will be announced this summer. 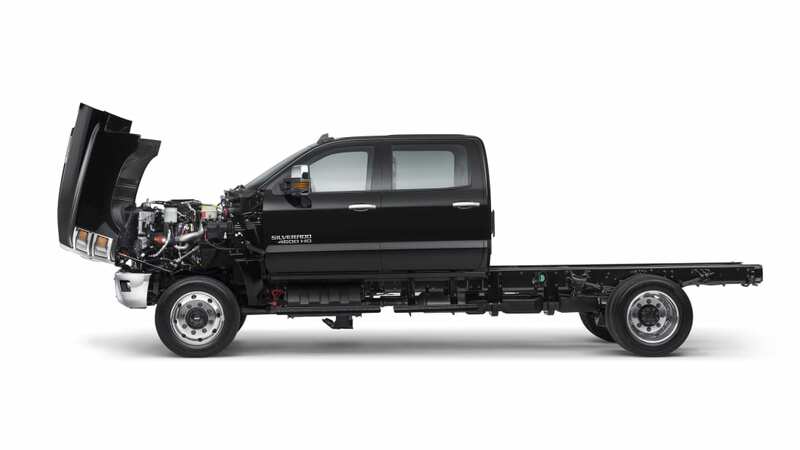 Production of the new medium-duty Silverados begins late this year. So expect to start seeing these huge Chevys more often in the near future.